WHATS IN A SOLAR WARRANTY? Confused as to what your solar system warranty covers? Well here are the nitty gritty details often covered in the fine print (or lack thereof) within the solar industry. If you’re not willing to check the terms and conditions, or read the warranty statement, then factor in the warranty value as zero. At the same time you should deduct up to the value of a new QUALITY inverter (plus a couple of weeks lost production), as it is VERY likely this could fail during the investment period. 1 Solar is expensive, and the whole aim is to make a return on investment. Like any investment it is best to hedge your risk. 2 Solar is a relatively new, and fast moving technology. It is therefore prone to manufacturing and design errors. 3 Even the best inverter’s pop. We have replaced every brand under the sun including SMA, and have seen failure rates as high as 20% from even the best of Chinese brands. If there is one thing worth spending money on, it’s a good inverter. Stick to the top brands ie SMA, ABB, Fronius, SolarEdge and or Schneider and you will be ok. If you’re looking at micro’s Enphase are it. There are two types of warranty a solar company can offer. One is to cover your ‘whole of system’ and the other is a ‘workmanship warranty.’ Most companies, including the major groups that you see on tv, DO NOT offer a ‘whole of system’ warranty. What this means is that if your inverter or solar panels die during the Company Warranty period, that the company will not ‘cover’ the manufacturer’s warranty. Any company which is signed to the Clean Energy Council’s Retailer’s Code of Conduct MUST offer a cover warranty for a minimum period of 5 years. This means that no matter what happens, the company must cover parts AND labor on any component in your system. At this point there are more than a thousand solar companies in Australia and yet only a short 24 of them have managed to obtain and hold a Retailer status. Be sure to check the Warranty Period, and ensure that it covers both parts AND labor. If they can’t show you this in an actual Terms and Conditions document, backed by a Warranty Statement forget it. Check the warranty conditions. One major group seen on tv offers a warranty that is only valid if the system is serviced (at cost) every 12 months. If you’re purchasing a remote system be sure to ask if the warranty covers travel and or living away from home costs! Most companies will match their warranty to the period of the inverter manufacturer’s warranty ie 5 or 10 years. Lifetime warranties are generally used as a sales tactic, as are companies that ‘upsell’ or ‘period match’ during the sales process. The fact is a warranty comes with an associated cost, and needs to be put in writing, so any change in warranty will require a change in the price and/or contract. Be aware that a long warranty is quite often not the best warranty. History has proven time and time again, that the longer the warranty period, the greater the chance of that company collecting the money and disappearing. If it all sounds too good to be true, it probably is! This is different to a Company Warranty as it covers service rather than defects, and is usually offered on top of a Company Warranty. A Service Guarantee will state that the company will respond to a fault within a given time period. It may also guarantee a repair period, and if it does any of this it should outline a penalty to the company if the guarantee is not met. For example, if your inverter decides to blow its transfer relay, the terms and conditions may state that the company has 3 days to respond to the fault, and up to 14 days to repair the fault – after which time they will compensate you for lost production. Check the fine print, as most companies DO NOT offer a Service Guarantee or even a response time! The list of companies which offer a production guarantee can be counted on one hand. It’s a question worth asking, as its a sure sign of a company that knows solar backwards, and is willing to back their promises in writing. The best part is that for them to offer the guarentee, they will have to perform a site and environment specific design for your system. So how does it work? During the design phase the company will issue a production estimate. This is required by law under the Clean Energy Council Guidelines. This estimate must at a minimum state both monthly, and an annual production estimate for the system that you have been quoted. A Production Guarantee will state that if your system fails to perform to its written estimate, that the company will refund you the cost difference of the lost production. This is effectively guaranteeing your investment and is generally calculated at the ‘cost of power’ rate over the investment period – usually ten years. For example, the investment period of most solar systems is 10 years and the cost rate of a solar system’s power will generally be around 7c INC GST. If x is given a production guarantee of 7500kWhrs per annum and the system only produces 7000kWhrs per annum, then the company will be liable to refund the customer 500kWhrs x 0.7c = $35 per annum or $350 over the investment period. If you have received a production estimate via Nearmap, then it is NOT environment specific and you almost certainly DO NOT have a Production Guarantee. If a company is not willing to offer a Production Guarantee and will not accept a penalty as a part of their Service Guarantee, then what does this say about their Company Warranty? This is offered by the inverter manufacturer and is generally transferable. Ie if the solar company disappears (which plenty do), you will still have a valid warranty with the inverter manufacturer. History has proven that most Chinese inverter companies eventually disappear, or may simply decide to keep on selling, whilst letting their service line ring out. There is one blue colored box in particular that has run with this tactic in Australia, which is rather tragic when considering that it used to be the most highly regarded of the budget brands. An inverter manufacturer’s warranty will generally cover parts AND labor, and cover a period of 5-10 years. Be aware that depending on what it takes to identify and replace the unit, there could be additional costs involved. A typical outcome is a call out fee of up to $120 to diagnose and remove the unit, followed by the actual replacement which is paid for by the inverter company. A good inverter manufacturer will get a replacement out in less than 2 weeks. If you have a cover warranty from the installation company, there are generally no additional costs. Its important to note that this is probably the MOST IMPORTANT warranty to look at when purchasing a solar system. Solar manufacturer warranties range from 10-12 years and may cover parts and or labor. Nearly all panel manufacturer’s offer 10 years on PARTS ONLY with the onus of proof placed onto the customer. So unless the panel completely fails and you have a logging system to prove it, the warranty claim process can be difficult and costly. All major Chinese manufacturers’ including Trina, Canadian Solar (yes theyre made in China), Yingli, Jinko, JA Solar, Suntech and more come with this type of warranty. There are three brands which we can think of that are an exception to the rule and they are LG Solar, Winaico and Sunpower. 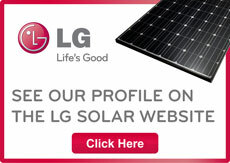 Both LG Solar and Winaico offer 12 years on parts AND labor and Sunpower offers 25 years (with a price to match). Some panels offer ‘Chubb Insurance,’ which is basically a professional indemnity policy aimed at protecting the solar panel manufacturer, or sales company, more so than the consumer. In effect this warranty is worth very little, and any company offering or highlighting it as a selling point either doesn’t understand how it works, or should be treated as having dubious intent. This guarantee also has debatable worth and is often used to trick customers into thinking they have a 25 year warranty. The fact is this guarantee is worth next to nil, as the onus of performance proof falls onto the customer, and the cost of that proof can exceed the replacement cost of the panel. The ONLY way to perform a performance test is to use an IV curve tester, which once again, most companies don’t have. A performance guarantee states that a solar panel will output to within a certain percentage of its initial rating at a given number of years from its date of purchase. For example, many panels state that their performance will be at 80% of the original specification after 25 years of use. What they wont tell you is that if the panel outputs 0% ie it is broken, that the performance guarantee is meaningless. So if your panel outputs at 12% then with some effort you SHOULD be able to prove and claim under the performance guarantee, however if its output is 0% the guarantee is null and void! The best warranty of all is the company you purchased it from and their reputation. Have they been in business for more than 5 years and are their reviews legitimate and of a high rating. If they haven’t been in business for longer than their warranty period, then they’re offering something they couldn’t possibly understand and or value. After that we HIGHLY recommend you buy a quality inverter, and take out the extended warranty option. This usually costs around $250 and will extend a 5 year warranty to a period of 10 years. This effectively covers your initial investment period and if its with SMA, ABB, Fronius or Schneider is a very sure way of ensuring that your investment produces for years to come. ABB and Schneider in particular, have been around for more than a hundred years and are well diversified beyond solar. As for panels, unless it covers parts and warranty dont rely on it. The good news is that panels fail a whole lot less than what inverters do, but its worth remembering that if they do fail, then replacing a whole array is going to be a very expensive exercise. We therefore highly recommend using entry level offerings from LG or Winaico such as LG’s 285W Mono X series to buy in on whole of term cover. In regards to the company, if they can’t offer at a minimum a Company ‘cover all’ Warranty, and a Service Guarantee, then chances are they have no intention of ever covering either, or don’t have enough experience to know the fail rates and or costs involved. If you find a company that is willing to offer a Production Guarantee, then this is like finding a stock on the share market that is guaranteed to hold its value! It is currently 2016 and we have already seen plenty of yellowing, bubbling and or cracked panels. The rate of popped inverters is rising at a consistent rate and yet we’re only just hitting five years on from the boom days. We predict that like air conditioner’s, most Australians will buy a cheap one first time round, get burnt, and then never look back. If you look around the retail landscape today, it is rare to see ‘cheap’ air conditioners on offer (except on Gumtree), and most people aren’t going to buy one twice. Give it another couple of years and all the cheap boom time systems will begin to fail and then word will get around. The question for today is, how secure is your investment and can you afford to lose it? Yeah this is a big problem with nearly all panel warranties. None of them cover production and LG and Sunpower are the only ones I can think of that cover parts and labour. Trina, Canadian, Q Cells, JA, Suntech and all other Chinese brands only cover parts and rarely cover shipping. This makes their warranty pretty much worthless. We are tilting strongly towards LG for this reason. They last longer and have almost zero problems. If they do have a problem, the issue is supported by a dealer network and does not impact the customer in any great way. Have had faulty panels twice now and Trinasolar has agreed to replace the whole 18….Problem is it has taken 3 months to get to this stage and are still waitng for delivery…pretty annoyed as on both occasions my power bill increased by about 80% from same time last year…. Can l claim that 80% back from them in the warranty claim???? I’m guessing not!!! !